Durham Police Department spokesman Wil Glenn said a contractor boring under a sidewalk hit a 2-inch gas line, triggering the explosion. One person was killed and 17 people were taken to area hospitals, Glenn said at a news conference. One firefighter was seriously injured, he said. 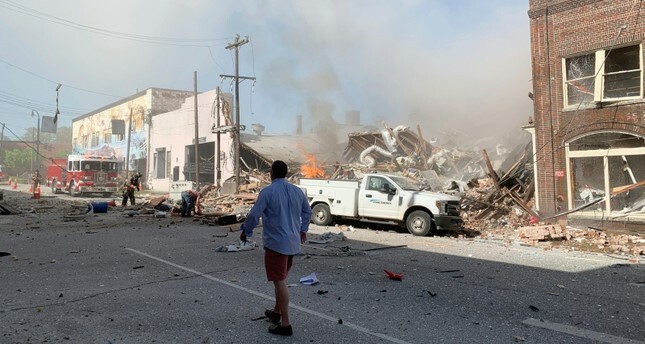 A third of a mile away, Duke University employee Mary Williams said she heard the explosion and felt shaking at her building. "I was in the kitchen. I heard this loud boom and the building shook. When I looked out, I saw the smoke billowing up. I was scared for whoever was in the vicinity because it did not look very good."